Check out Dan Baily doing Grace, unbroken, in 1:01.57! that video is sick! he makes it look way too easy! Double PR! Weight and time! Sub 3! Killing it Matt! 33 second PR!!!! Thanks for the coaching and push Brian!! Big PR day all around. Great class. Great coaching and fun class! Grace: wished I would have kept my notes from MyWod app before switching phones! pretty sure I never did it with 80 pounds, so new base it is! Now it’s logged 🙂 Way to go Ana! SO excited for this huge PR!!! 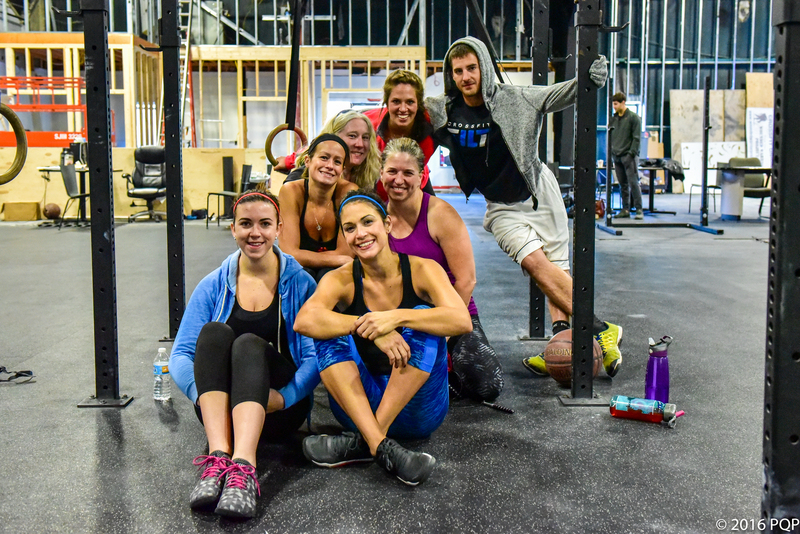 Super fun 9:30 class- lots of PRs! Jo Agne, all singles and that fast? Amazing! Yes! They were all quick back on the bar. Singles was the way to go for me. I think Cha strung first 5 and then singles? And she was blazing fast! Getting the jerk right from where you catch the clean is key for speed. Great cues from Brian! Fast on those singles! Two PRs in a week! Nice job Bryan! Way to get after it today. There’s probably a name for the mod, but I don’t know it yet 🙂 Starting with the bar at the knees instead of the floor…. Week #1 in the books! Great job this week Kim! 4:32 @ 70# – don’t have Grace logged on my WOD which means I haven’t done it for some time. I know I’ve done it but don’t have it recorded. Need to get better at that. Mod – 65 lbs, hang clean, 3:28. No idea what my last Grace was. I’m good starting over! Previous time was 7:07, same weight back in March. 4:50 @ 65#. I didn’t transfer my WOD info from last phone but I don’t recall ever doing this one. Setting the stage now I guess.